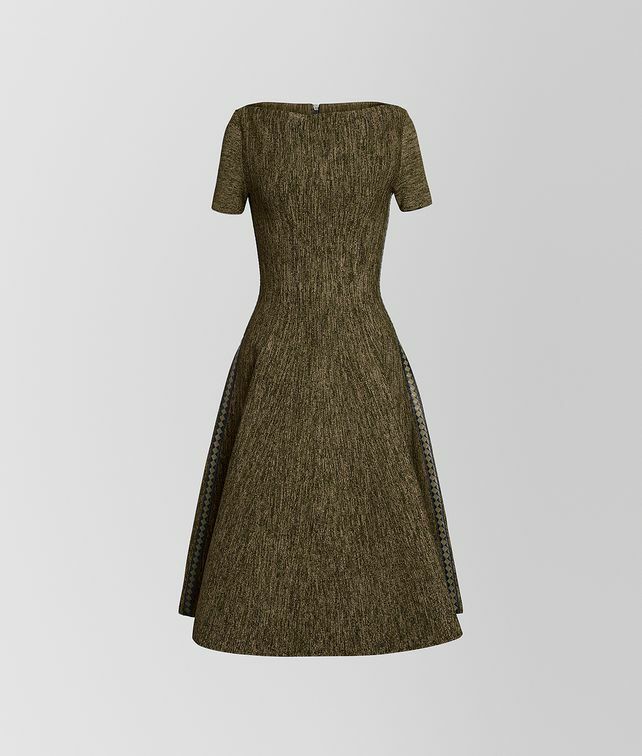 This sleek dress is knitted from viscose mouliné for a look that has sophisticated depth and texture. The silhouette has a fitted waist and full skirt, and is trimmed with Intrecciato Checker nappa along both sides. Back zipped closure.